Digitalization is disrupting all industries ranging from banking to retail and healthcare. Digital transformation has not spared the pharmaceutical industry. Although many people perceive the pharmaceutical industry as conservative and slow to adopt change, digitalization is changing it significantly. Digitalization is influencing the way pharma companies operate and meet the needs of its customers. It helps organizations in the pharma industry increase efficiency, leverage new business opportunities, and improve patient care. Pharmaceutical companies are making significant strides towards digital transformation. With increased internet use, organizations are acknowledging the essence of the "connected patient." In the US, approximately 77% of the population uses smartphones to access the internet. A good percentage of this population searches for health information online and even tracks their health using apps. Many patients use apps to manage their diagnosed condition. In response to this trend, pharma companies are at the forefront of developing pharmaceutical apps. The number of apps has increased substantially from 305 in 2013 to 988 in 2016. More apps continue to be developed to meet patients' needs. Below are seven ways that digital transformation is changing the pharmaceutical sector. Before the digital transformation, pharma firms were the sole providers of information on the effectiveness of drugs and therapies. They had control of the information available to patients on treatment modalities and pharmaceutical products and their impact on patients' well-being. However, digital technologies have debilitated the control, and independent information channels have emerged. Information on drugs and therapies is readily available for patients and companies to access. Currently, there are numerous online information platforms for patients to discuss drugs, therapies, and treatment progress. Apps are also available for patients to track the effect of a particular treatment. These platforms provide pharma companies with valuable insights into the safety and efficiency of drugs and therapies. For firms to maintain their position as the sources of information on the performance of drugs, they need to develop ways to use this vast information to their advantage. They also have to be prepared to react to sources of information. With digitalization, outcomes-based care is becoming mainstream. Pharma companies will not be restricted to conducting randomized controlled trials. They will have the obligation of demonstrating the value of their drugs to retain market access. Outcome-based care has led to the development of "beyond the pill" solutions that not only aim to deliver drugs to patients but also gather and analyze data on drugs' efficiency. Such data helps pharma firms to show that their drugs are efficient. Digitalization has changed the way information is shared in the pharma industry. More information is available online and the way people access it is changing. Pharma companies that want to achieve a competitive edge must know how to make the data accessible to a broad audience. Also, they must know how to use the wealth of data. They have to improve products and strategies to enhance decision-making. Top performing pharmaceutical firms analyze data from numerous sources ranging from apps to social media, sensors, labs, and insurance claims to determine drug efficiency and guide clinical practices. Digitalization has led to more active and engaged patients in their care. Patients are becoming more engaged in their treatment plans primarily due to the huge amount of health information available online. They are much less dependent on physicians for advice and take personal responsibility for their health. Patients are surfing the internet for resources that may assist them. Additionally, patients are using the internet to evaluate different pharmaceutical products. This trend in healthcare is an advantage for pharma companies because they can engage with patients online as they research on products. The contemporary patients want health providers to engage with them in multiple channels in the patient care journey. They no longer want care that it restricted to office hours. They want 24/7 care. Digitalization is making this possible with the development of virtual care apps and sensors. A prominent example of a virtual care app is the NeoCare Solutions designed to offer on-demand assistance to parents whose babies were formerly in intensive care. Patients are using online portals to access their medical information and communicate with medical practitioners. They are also using online patient communities to interact with patients with similar diseases. In virtual care, personalization is important, and care is customized to meet the needs of diverse patients. Pharma companies should be prepared to offer virtual care. They should be ready to employ the digital marketing and engagement capabilities that other industries use to derive value. In the past, patient data was a preserve of health establishments. You could only get patient health information from the paper-based records that health providers kept in health institutions. The same thing applied to drug research and development information; you only got it in pharma companies. However, in this digital age, patient information is available on electronic records, insurance claims, and other online platforms. This has made non-health companies such as Apple and IBM to enter the health and pharmaceutical industry. These companies use apps, online communities, and health and fitness devices to engage with patients. Consequently, they gather vast amounts of data that offer them valuable insights into patients and their needs. Digital transformation is increasing the efficiency of pharma companies. They are using technologies such as AI and big data to analyze in-depth data for decision-making. Also, the availability of scientific data online on drugs and treatments necessitate pharma companies to meet customer expectations and adhere to safety standards. 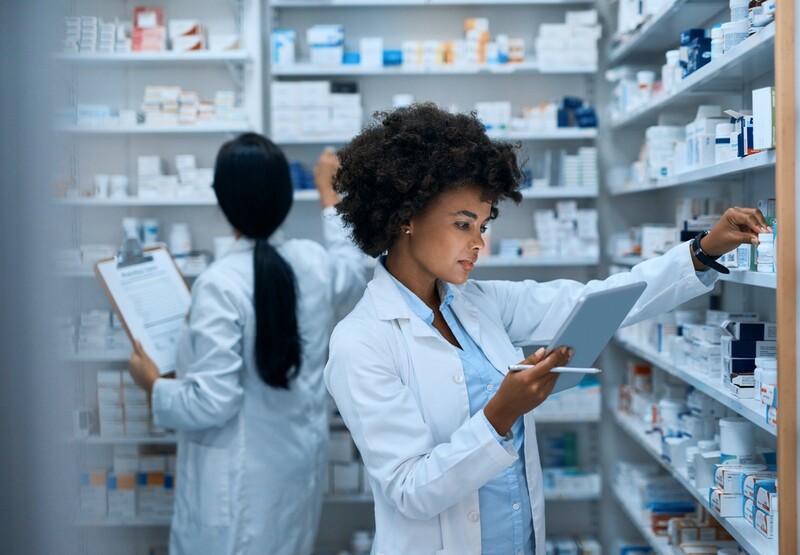 To survive in the digital era, pharmaceutical firms have to use the latest technologies to streamline their operations and business processes. They have to adhere to high levels of transparency in their clinical trials. Patients, employees, and suppliers require enterprises to be efficient; pharma companies must meet this expectation. Digitalization is disrupting all industries, and the pharmaceutical sector is no different. For pharmaceutical companies to succeed in the current digital age, they must devise ways to offer personalized patient care, engage with patients, analyze data for decision-making, and be responsive to changes in the industry.